At the 'Pause' menu go to 'Extras' and enter the code 8jqbuke to unlock the classic alien. As Chase McCain, you have 8 different disguises you can choose from and each of them has their own unique skills and abilities. During the course of the game you will meet over 300 unlockable and playable characters. 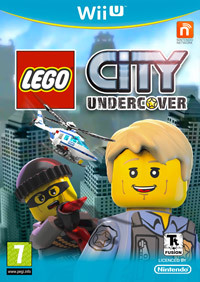 This is a Lego game so you need to break everything you can so you collect studs which is the game's main currency and also the new brick elements which are needed for the Super Builds, large structures that perform specific functions in Lego City. In Freeplay mode you can always return to the locations of story related quests and replay the missions if you need to improve your score or unlock more secrets. Rememeber that your character can swim, this is something that is often forgotten and causes players to miss some valuable secrets. Now press the right hand stick inwards and choose a vehicle.